The Association of Haitian Physicians Abroad’s (AMHE) central web site hosts information such as our history, current officers, board members, the bylaws, it lists our chapters, including Florida, and more. The New York Chapter of the Association of Haitian Physicians Abroad is a 35 year old membership not-for-profit organization of over 1000 physicians of Haitian ancestry. They are represented in clinical practice and academia throughout the state of New York. The primary focus of the organization is to assist in meeting the health care needs of the community-at-large and to provide professional development opportunities for physicians. This French language web site hosts information regarding the 60+ years of history of the Haitian Medical Association in Port au Prince, Haiti. Association has focused primarily on health issues related to African Americans and medically underserved populations; however, its principles, goals, initiatives and philosophy encompass all ethnic groups. James Wilson Bridges, M.D. 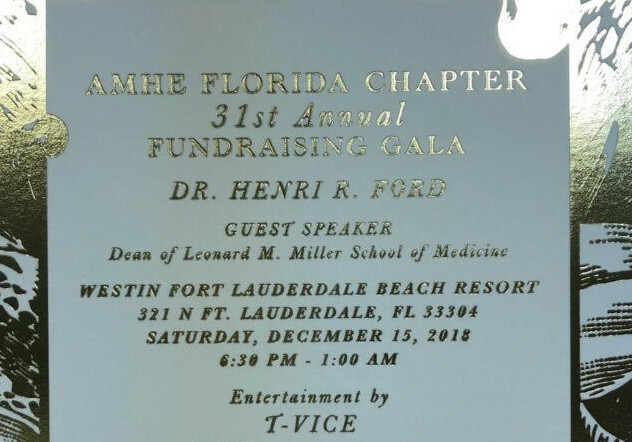 Medical Society, Inc. of South FloridaA Constituent Society of the National Medical Association, Inc. The American Medical Association was created to promote the art and science of medicine and the betterment of public health. With core values such as: Leadership, Excellence, Integrity and Ethical Behavior, the AMA’s vision is to be an essential part of the professional life of every physician.The American Medical Association helps doctors help patients by uniting physicians nationwide to work on the most important professional and public health issues. The American Academy of Family Physicians is one of the largest national medical organizations, representing more than 94,000 family physicians, family medicine residents, and medical students nationwide. Founded in 1947, its mission has been to preserve and promote the science and art of family medicine and to ensure high-quality, cost-effective health care for patients of all ages. HealthFinder.gov is a government Web site where you will find information and tools to help you and those you care about stay healthy. HealthFinder.gov has resources on a wide range of health topics selected from over 1,600 government and non-profit organizations to bring you the best, most reliable health information on the Internet. FamilyDoctor.org is operated by the American Academy of Family Physicians (AAFP), a national medical organizations representing more than 93,700 family physicians, family practice residents and medical students. All of the information on their web site has been written and reviewed by physicians and patient education professionals at the AAFP. Visit their web site for information on health information for the whole family. Aetna InteliHealth’s mission is to empower people with trusted solutions for healthier lives. They accomplish this by providing credible information from the most trusted sources, including Harvard Medical School and Columbia University College of Dental Medicine. Established in 1996, Aetna InteliHealth has become one of the leading online health information companies in the world. Their health information includes health news and content as well as access to tools and risk assessments. The National Women’s Health Resource Center is celebrating 20 years of providing women in-depth, objective, physician-approved information on a broad range of women’s health issues. With more than 100 topics in their health library, including the latest medical advancements in each field, women often turn to them to answer their most pressing and personal health care questions. Through nationwide public education campaigns and personal assistance, NWHRC has helped women be informed health care consumers and has supported and promoted major milestones in the advancement of women’s health for the past two decades. Men’s Health Network (MHN) is a national non-profit organization whose mission is to reach men and their families where they live, work, play, and pray with health prevention messages and tools, screening programs, educational materials, advocacy opportunities, and patient navigation. The Haitian American Leadership Organization, HALO, is an established non-profit organization whose main objectives are promoting education, fostering unity, promoting networking, and improving the image of Haitians throughout South Florida. The purpose of the Haitian Nurses Association is to provide nurses the opportunity to unite as a group, to share and promote ideas of interest to the group, and to become effectively involved with the issues and services relevant to the health and welfare of the community. Project Medishare for Haiti, Inc., a 501.3 non-profit registered in the State of Florida, was founded in 1995 by Drs. Barth Green and Arthur Fournier from the University of Miami School of Medicine.It is an organization dedicated to sharing its human and technical resources with its Haitian partners in the quest to achieve quality healthcare for all. This mission is accomplished through two distinct but complimentary programs which now frequently intersect, such as the Community Health Program and the surgical and medical care trips. Sant La Haitian Neighborhood Center is a nonprofit organization located in the Little Haiti neighborhood of Miami, Florida.Sant La provides information and referral services in the areas of education, housing opportunities, economic self-sufficiency, and access to healthcare and legal counsel. Sant La is also dedicated to developing capacity and collaborative opportunities for neighborhood agencies. Fanm Ayisyen Nan Miyami, Inc. (FANM)/Haitian Women of Miami was founded in 1991, to work for the “social and political empowerment” of Haitian women and their families.FANM is an advocacy and social service agency located in the heart of Little Haiti, serving the needs of low income women and their families as well as victims of abuse, neglect, violence, discrimination and racism. Since 1991, FANM has championed and advocated for the rights of those who have been underserved, marginalized, disenfranchised, and discriminated against in South Florida. The Center for Haitian Studies (CHS) is a duly registered non-profit, tax-exempt health and social service organization founded in 1988 for the purpose of serving the disenfranchised populations of Little Haiti/Little River in Miami, Florida.In keeping with its mission, CHS provides a wide range of services to members of the population including health education, health services free of charge to indigents, psychosocial counseling, case management, home-delivered meals, food bank, direct financial assistance and transportation. Other services provided by the Center for Haitian Studies to the general population include crime prevention, literacy, case management, cultural adaptation and counseling services for new immigrants who arrived in Florida after 1994.